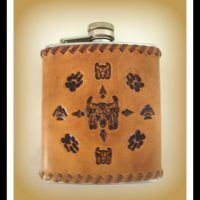 This flask has an embossed cowhide leather cover. 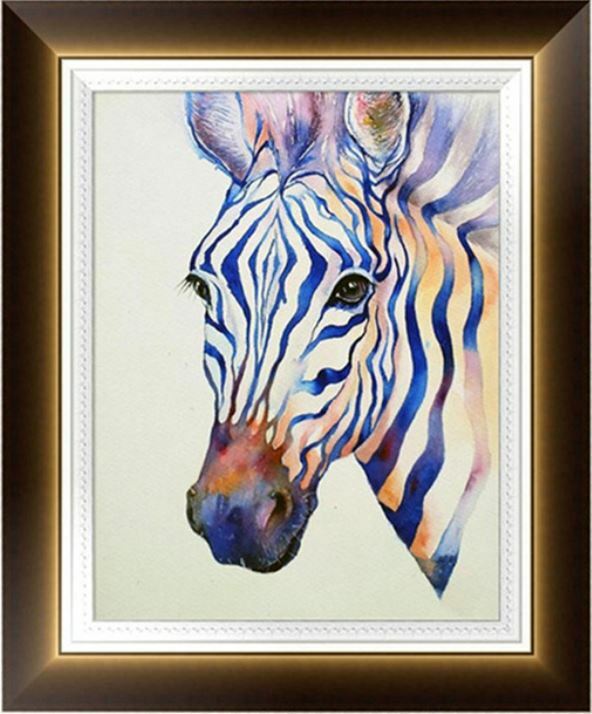 The cover was handmade by Navaho Designs. The flask is Stainless Steel and holds 7 oz. 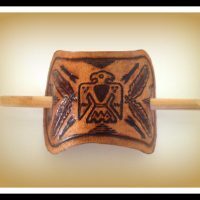 These Cowhide Leather Barrettes are Handmade by Navaho Designs. They look great on a pony tail. 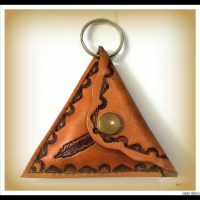 These Cowhide Leather Purses are Handmade by Navaho Designs. As well as being a small purse to keep some change in. Great for kids for school. 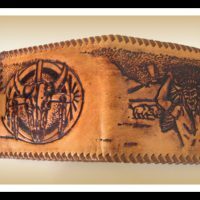 These Cowhide Leather Lighter Cases are Handmade by Navaho Designs. They have a bottom in the case to stop your lighter falling out. 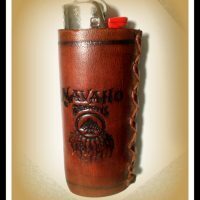 Made to suit ‘Bic’ Lighters. 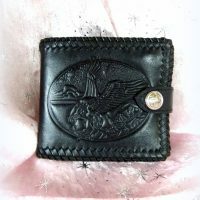 This Cowhide Leather Wallet was Handmade by Navaho Designs. Inside it has a clear window for ID and a change purse. It has 2 note section one of which has had the zip removed as it was faulty. 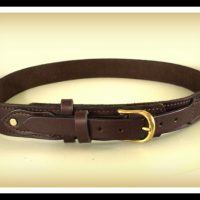 This stylish belt has a gold finish buckle. Insert has a change section, 6 credit card slots and zip compartment.